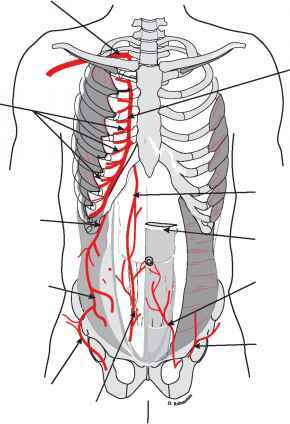 The superficial circumflex iliac artery arises from the femoral artery near the origin of the superficial epigastric artery. It pierces the deep fascia of the thigh lateral to the saphenous opening and courses laterally toward the anterior superior iliac spine to supply the superficial fascia and skin. It is considered the smallest branch of the femoral artery that anastomoses with the deep circumflex iliac, lateral femoral circumflex iliac and superior gluteal arteries. 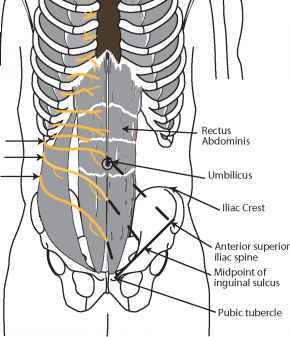 The course of this vessel, an important structure in a groin flap, can best be localized by palpation of the anterior superior iliac spine and the pubic tubercle through the skin of the inguinal region . What artery does the deep circumflex artery arise from?